This article will teach you how to maintain the metal roll forming machine. 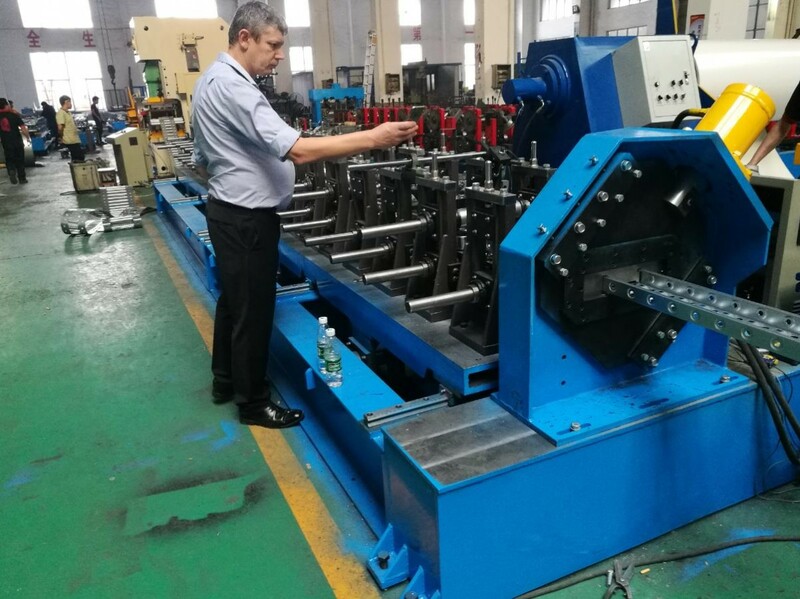 To ensure the metal roll forming machine stays in good working order, the technicians should perform a comprehensive integrity check and alignment. If an operator performs basic preventive maintenance tasks, such as applying grease and tightening bearing nuts. Then technicians shouldn’t have to check alignment very often, sometimes just once a year. But as always, maintenance frequency depends on the application. Metal Roll forming machine maintenance includes ensuring bearings on the stands are in good working order. An operator may also inspect the inside diameter of the shafts using a telescoping or boring gauge and inspect the outside diameter . For drive stands, where the inboard stand incorporates the transmission. In order to ensure the assembly has a tight fit and the slide can move the top shaft up and down with precision. The technician should inspect the bearing blocks and tighten and adjust by machining them or using shims. The top shoulder also needs to be lined up with the bottom shoulder, often by using sizing rolls of equal width as a “fixture,” slid along the shaft against the top and bottom shoulders. This gives the tech more points of contact when using a straight edge. Once the tools and spacers are on the metal roll forming machine. To ensure the top and bottom shafts are parallel. The technician can place a straight edge on both sides of the rolls . If spacers are too narrow for a straight edge, a tech may insert a drill rod against the rolls to check for parallelism. A technician also checks for shaft parallelism by placing a feeler block between the shafts, being sure alignment is the same on both the inboard and outboard sides of the metal roll forming machine. Contact Believe Industry Company for more information of how to maintain the Roll Forming Machine. We also supply kinds of coil process equipments and power press.